A perfect love story starts with understanding and supporting each other in ups and down. 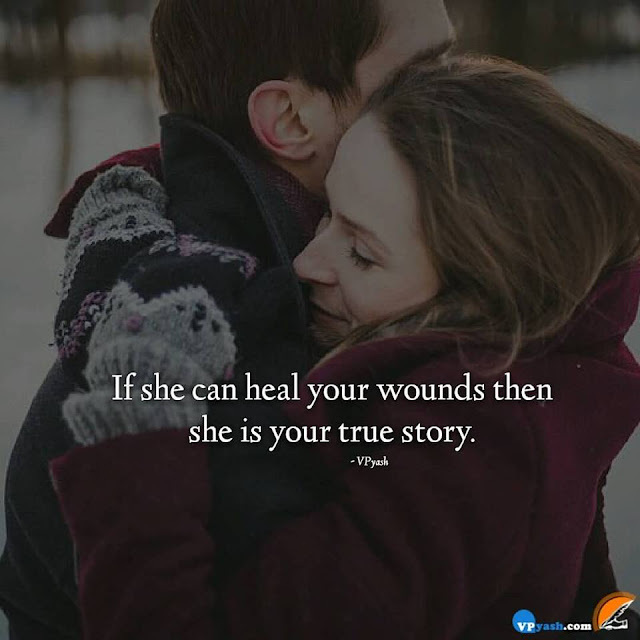 If your love knows how to heal you, then you can assure yourself that she is the one. True love is the best healer by itself and it touches one so deeply that one can never be the same as before. So find someone for yourself who can understand your feelings and whose love is able to heal you for a lifetime as true love is the greatest medicine any person can get ever.